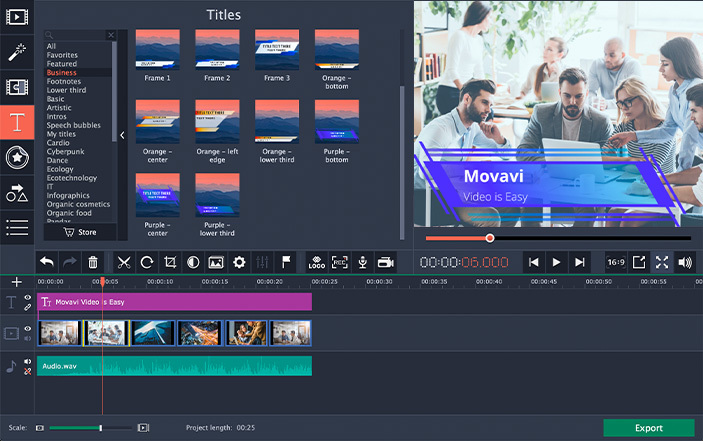 Add a professional touch to your videos: choose a stylish intro from the built-in collection or create your own. 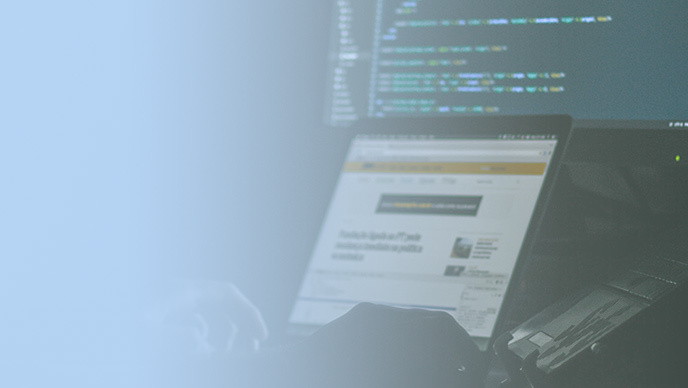 Recording screencasts for your projects is now even easier. 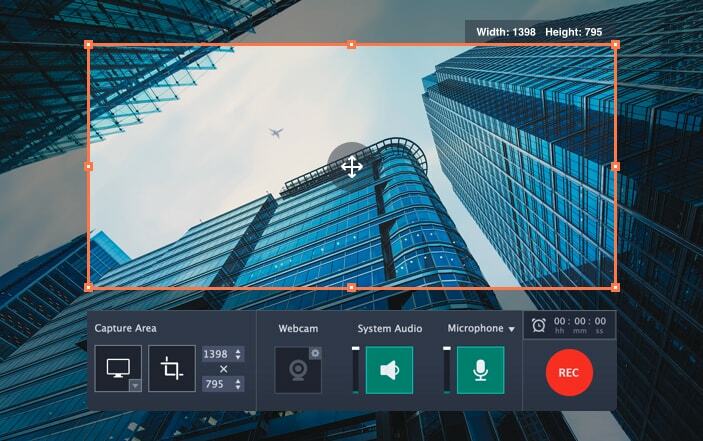 Try the improved recording frame: change the capture area by dragging on the special markers. 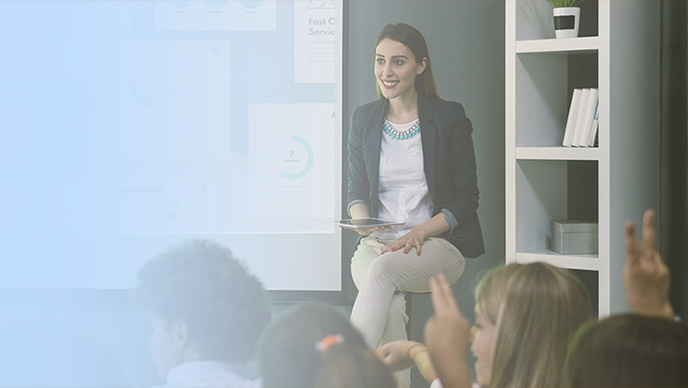 Schedule recordings to capture the screen at any time, even if you’re away. 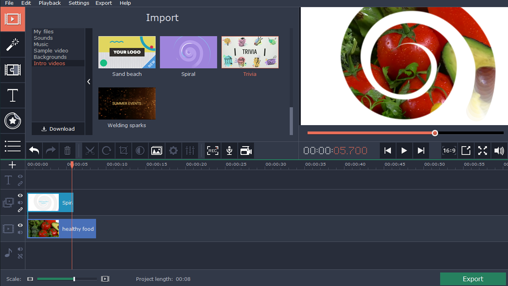 Edit multiple clips on the new multi-track timeline: add more tracks and arrange them in any order. 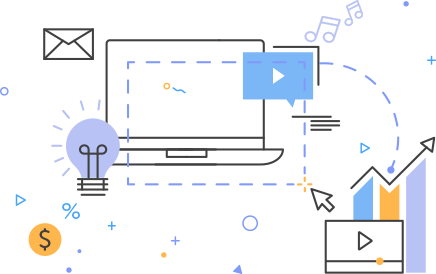 Choose from new built-in content: titles, stickers, music, backgrounds, and more. Enjoy smoother performance with Fast Track HD Technology. 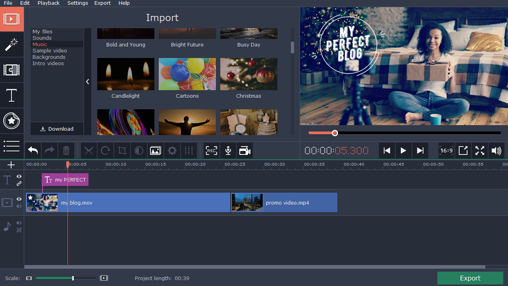 Cut and trim footage, join video clips, adjust video and audio settings. 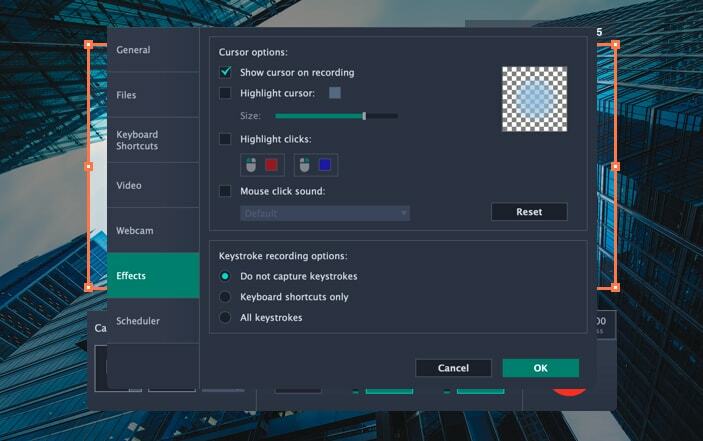 Use video clips, backgrounds, music, and sounds from the built-in library. 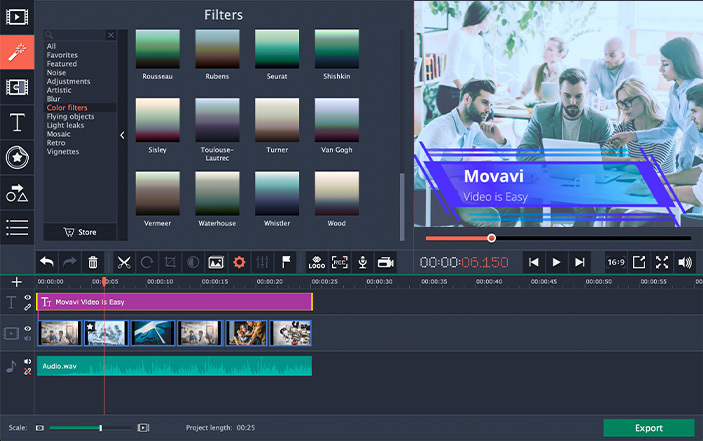 Liven up your video with 20+ creative filters. 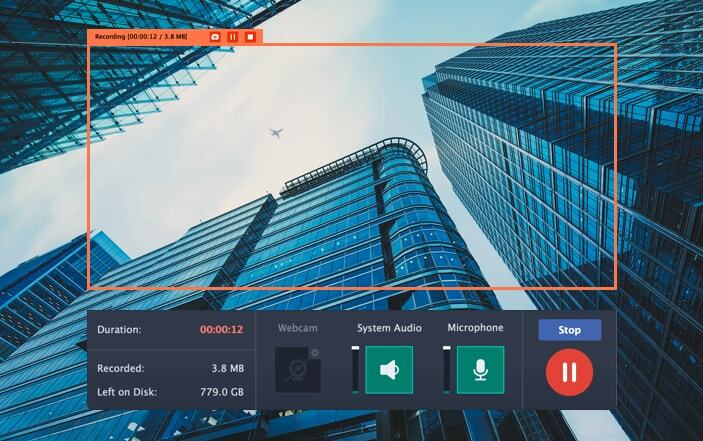 Capture screen activity, webcam video, and audio from any source. 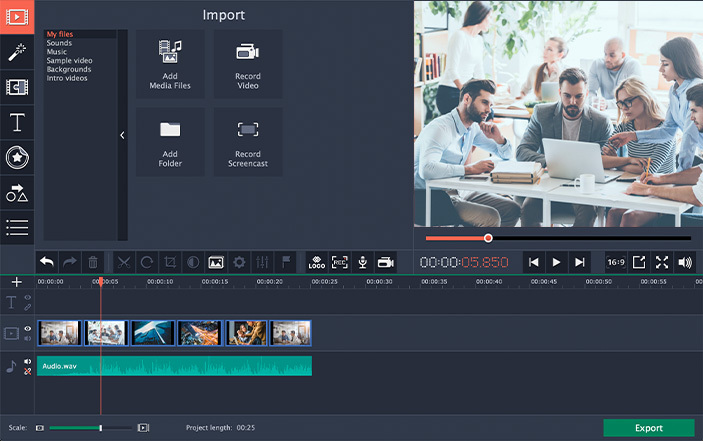 Edit and export videos without delay, thanks to Intel® hardware acceleration. 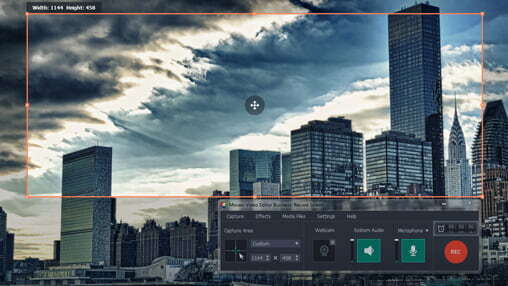 Use Slow motion, Reverse, Chroma Key, and other special effects. 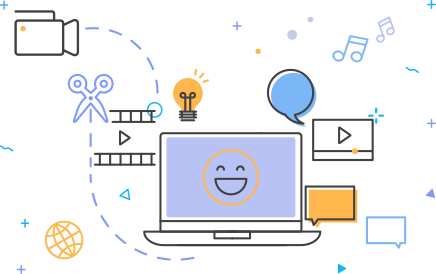 Upload your video to YouTube in a couple of clicks. Screen Recording: screencasts, video calls, program activity, etc. * Unfortunately, sound capture from multiple devices is not supported under Windows XP. 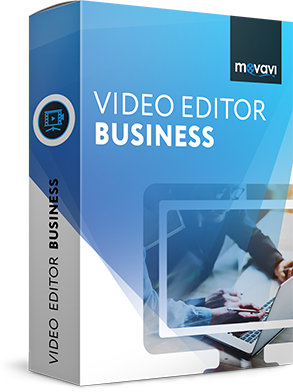 Disclaimer: Please be aware that Movavi Video Editor Business is not intended for use with copy-protected media content.